Originally opened on nearby All Saints Road during the late 1990s, ULI became a local favourite before closing a few years ago. 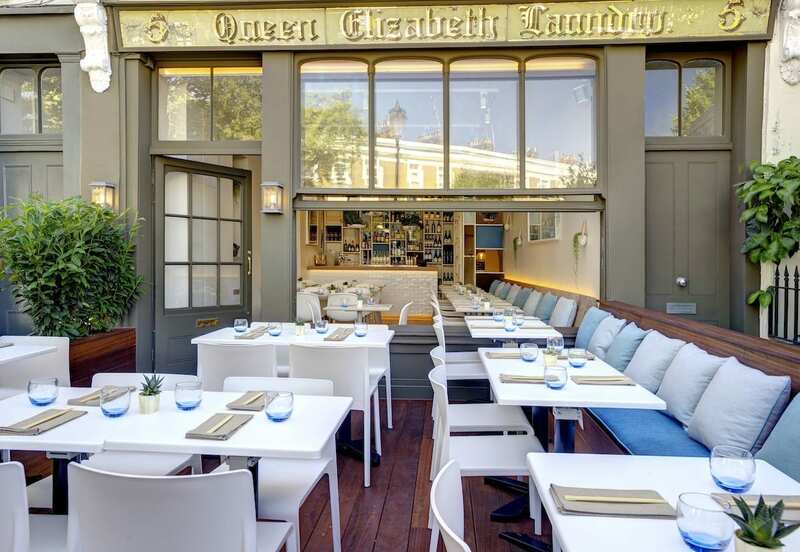 Quickly following the closure, however, the restaurant has since been resurrected – taking over a space on Ladbroke Road, close to Notting Hill Gate tube. Fronted by a large, partially enclosed terrace area with comfortable seating and a hanging garden of foliage and lights, the restaurant is modestly decorated: bright with contemporary art and soft blue touches against a broad white wash. While the al fresco terrace was ideal for the unusually warm summer, blankets and heaters are also provided for the cooler months. Service is suitably laid-back, though competent and sensibly attentive. As for the food menu, ULI has a pronounced ‘Pan-Asian’ leaning. 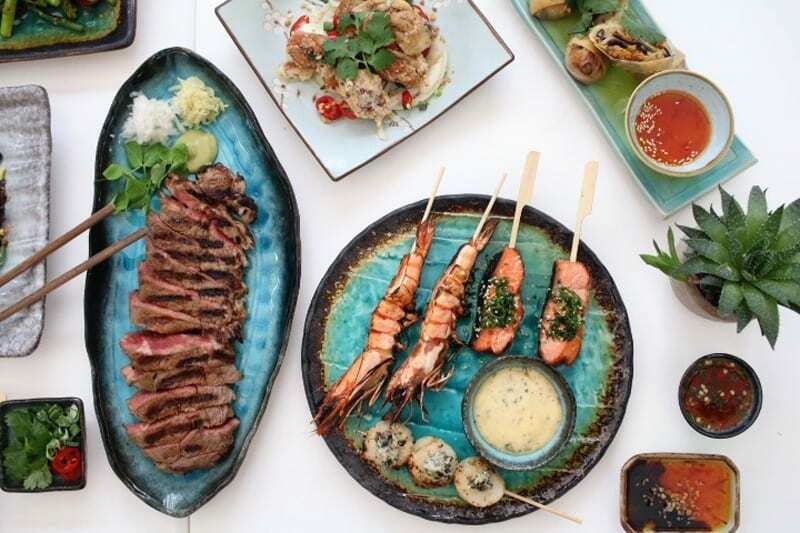 Unlike many cut and paste ‘Pan-Asian’ menus which serve a myriad Chinese, Thai, Singaporean, Japanese and Malaysian dishes as if they’re all the same thing – ULI’s menu offers a cornucopia of Anglo favourites. Alongside a relatively accessible drinks list, with numerous wines available by the carafe, the lunch and dinner menus feature many of the same dishes, but with higher prices during evening service – not unlike that at Bob Bob Ricard, having launch a new off-peak menu earlier this year. Lunch begins with a tureen of perfunctory edamame with a torrent of crystalised rock salt (£4.50), quickly followed by a dish of soft shell crab (£8.50) that’s cloaked with splendidly craggy batter, lopped into segments and lashed with chilli and garlic. Hunan pork dumplings (£4.90) have thin wrappers and are steamed, stuffed with minced pork and convoyed by fierce chilli oil which cuts through the pork’s inherent fattiness. Wok-fried daikon cakes (£8) are one of the best dishes eaten: crisp and deeply comforting, smaller than typical and featuring a favourable ratio of Chinese turnip and rice starch, dressed with plenty of umami sauce and a healthy fistful of bean sprouts which add heightened textural depth. A sizeable portion of Szechuan chilli prawns (£10) are also fried, coated in a light batter evocative of Chinese takeaway sweet and sour prawns, lolling in a similarly lurid orange sauce. Instead, the sauce is relatively spicy, marrying the prawns with their accompanying slices of fried water chestnut, spring onion, chilli and green pepper. Classic egg fried rice acts as a fair vehicle for soaking every last drop of said sauce. Tenderstem broccoli arrives towards the end of the meal, drenched with oyster sauce and topped with fried garlic slices (£7). Perhaps the lightest menu item sampled (apart from the edamame), the broccoli dish is well-executed yet poked, prodded and, ultimately, pushed around the plate – undisturbed in favour of some of the more exciting dishes already gracing the table. Dessert stirs an unusual nostalgia to a time long before I was born. ULI’s toffee banana fritter reads as though borrowed from 1978 but is veiled with uncommonly light batter, pelted with sesame seeds and fortunately bereft of typically sickly syrup. With a menu comprising so many interpretations of Asian dishes shrouded with familiarity – generally well-executed – it’s perhaps unsurprising that ULI has become so locally renowned over the past 21 years. ULI can be found at 5 Ladbroke Road, London, W11 3PA.